We love this business! SpeedPro Imaging of SF Peninsula has the equipment, expertise and enthusiasm to help our clients meet their branding, communication and décor goals. From simple print jobs to complex projects that need design assistance, finishing, die cutting, routing or installation, we work hand-in-hand with you to get it done. Creating large-scale graphics is our specialty, and our skill at every stage of the process — consultation, production and installation — pulls it all together. It’s easy to work with the staff at our showroom / production studio. Our business goal is to build productive and lasting relationships with our clients– listening, responding, consulting, communicating, and smiling. We won’t sacrifice quality or attention to detail but we meet deadlines without fail. 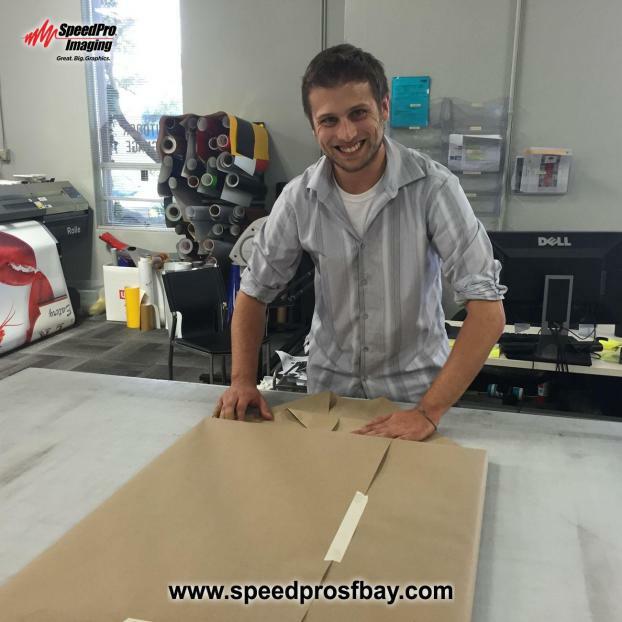 Nobody’s perfect, but everyone on the SpeedPro team takes pride in getting the job done right the first time. We are conveniently located on the mid-peninsula city of San Carlos, between San Francisco and Silicon Valley. As active members of the community, our owners, Paul and Annette, are proud to support local Bay Area organizations, events and charities. We are also part of a nation-wide system serving national accounts with local vehicle or site installations and printing. If you’re looking for customized solutions to your printing needs in South San Francisco, Brisbane, Burlingame, Half Moon Bay, San Mateo, Foster City, Redwood City, Menlo Park, Atherton, Palo Alto, or beyond…we’re just a few minutes away and can ship or deliver as needed. SpeedPro’s multi-colored Dalmatian mascot “Hue” sums up our passion for color imagery – “It’s Not Black & White Anymore.” We take color and finish quality seriously and are “dogged” in our pursuit of perfection. Ouch…sorry about that.